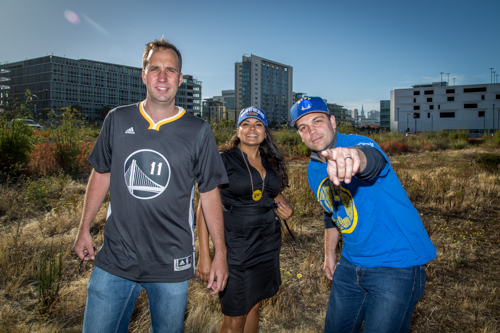 Three Dogpatch residents who support the new Golden State Warriors Arena in Mission Bay pose at the site which is at 16th and 3rd in San Francisco. Left to right Scott Van Horn, Vanessa Aquino and Adam Gould. The proposed move by the Golden State Warriors to Dogpatch Flats (aka Mission Bay) has been met by much excitement by many in Dogpatch but also with some concern about the resulting increase in traffic and worries about even more parking woes. A movement to help educate the communities located around the arena about the move to SF has been dubbed (yes, I said it) by the team as Warriors Ground SF. Warriors Ground SF is a group of Dogpatach neighbors and business owners who act as ambassadors to help spread support for the Warriors Arena and for the entertainment center and offices that will also be part of the complex. 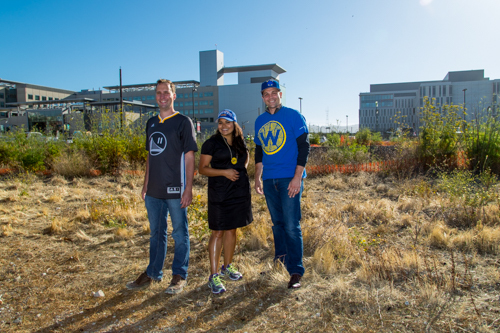 In Dogpatch, Scott Van Horn, Vanessa Aquino and Adam Gould are part of the Warriors Ground SF coalition. Two days after the Warriors were crowned NBA Champions, we sat down with Van Horn, Aquino and Gould over pies from Longbridge Pizza to chat about all things Warriors. You can find out the details about what the Warriors management is proposing for the site at Third and 16th Street at this link as well as some of the concerns that have been put forth in this SF Chronicle article. We wanted to hear why these three were offering their public support. Vanessa Aquino: As a huge sports fan and a native of San Francisco as well as a resident of Dogpatch for more than ten years, I was of course excited when I heard that the Warriors were considering a move to SF. I had first heard of the move when Warriors management came to the Dogpatch Neighborhood Association to present their plans for the arena and to discuss how their move to SF would affect Dogpatch. Scott Van Horn: I grew up in the East Bay and I started following the Warriors during the "we believe" team which was in 2007. I met some of the Warriors organizers through various community events and offered to volunteer my time to help educate the community about the issues surrounding the arena. For the Warriors to be the powerful franchise that I think they aspire to be they really need to be in SF. A new arena in SF will allow them to have luxury boxes and more to offer corporate sponsors. This in turn will allow them to pay more for the top players. Adam Gould: I must confess that I have never been much of a basketball fan! So I'm just now jumping on the bandwagon. My interest has been less as a sports fan and more as a Dogpatch business person as well as a Dogpatch resident who sees a lot of benefit to the Warriors coming to our neighborhood. The UCSF Medical Center in Mission Bay looms over the site of the new Golden State Warriors Arena. Supporters of the arena from left to right Scott Van Horn, Vanessa Aquino and Adam Gould. So what are those benefits to Dogpatch? VA: There will be people who are going to the Warriors games and to the other special events at the arena who will start their day or evening here in Dogpatch. 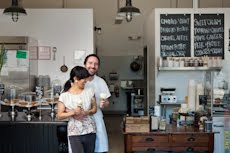 That means more business for the restaurants and more foot traffic for the retail businesses. And all that foot traffic will bring even more energy and buzz to the neighborhood. SVH: I agree that the arena and events space will bring a different sense of vibrancy to Dogpatch that the building of apartments and condos does not. I think the community will also benefit from the use of the bayfront park that is part of the project as well as access to all the new retail shops that will be part of the complex. AG: What has hindered Dogpatch is the lack of services such as a grocery store and a bank. Having the arena is the best kind of growth to have and we are fortunate that the Warriors are interested in this part of SF to build their arena. 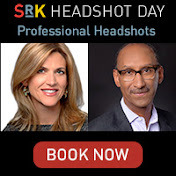 Their interest and arrival will hopefully attract similar growth minded companies and Dogpatch will be the beneficiary in terms of not just more retail, but also some of these essential services. 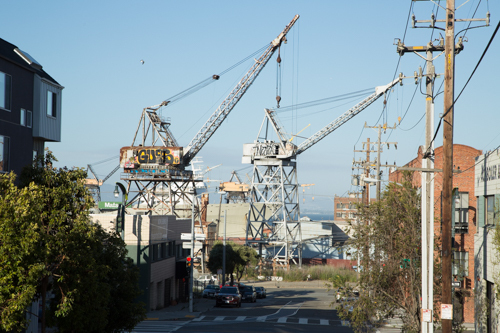 This is absolutely the right kind of growth for Dogpatch. What are some of the challenges to Dogpatch? VA: Parking of course but also there is some concern that the spill over crowd after games and events will be less than well-behaved. SVH: Most people would say that parking issues are the biggest challenge but I believe that the numerous new apartments and condos that have recently been approved and are in progress will have more of a long term negative impact on parking than the Warriors arena will have. I think increased traffic during commute times is a bigger issue and the Warriors have addressed that in their plan. AG: I'm not as concerned with the traffic and parking issues but I do think that there needs to be some sort of monitoring for the "rowdy" crowds that might descend upon the neighborhood after events. So, how about the name -- Golden State Warriors, San Francisco Warriors, Dogpatch Warriors...? VA: I think it should stay the Golden State Warriors. It is a more inclusive name -- this is a California team, not just a San Francisco team. AG: San Francisco Warriors. I think it would be prestigious for a basketball team to be associated with this city. Nick and Nora the cranes at Crane Cove Park in Dogpatch which won't be used for parking.